M I L K R I V E R A R T S is a creative community where the exchange between artists with + without special needs inspires personal + professional growth. Milk River Arts introduces emerging artists to mentors + ideas + materials and encourages exploration. We find ways to support and elevate one another: Our goal is to create an environment in which everyone feels valued inside a joyful, generous space to practice, teach + learn. We work to reshape our sense of what is possible in each of us. 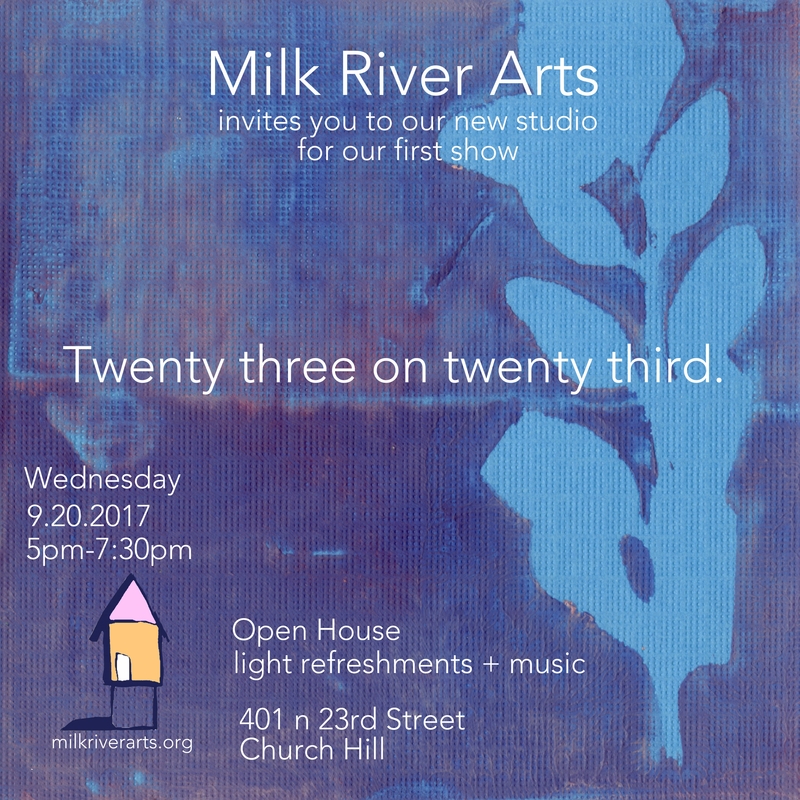 Milk River Arts is a 501(c)3 non-profit organization, and we invite collaborations that help us bring opportunities to individuals with special needs. W H A T I N S P I R E S A R T I S T S ? Milk River Arts and our partners glave kocen gallery, Studio 23, Virginia Museum of Fine Arts + Visual Arts Center of Richmond, focus on this simple but exciting question: What inspires artists? Our Studio Workshops are designed to connect artists with new people, new ideas, and new experiences to enrich and expand our sense of who we are as artists.